While there are many—potentially contentious—issues in a commercial lease, we have heard that new entrepreneurs often ask Business Link about personal guarantees/deposits. Both are negotiable points. As we explain in our book, Negotiating Commercial Leases & Renewals FOR DUMMIES, if you’re a start-up corporation or don’t have a lot of financial depth, you can expect the landlord to request or insist on a personal guarantee from you. This can be either an outlay of cash on your part for the landlord to hold onto or the naming of another party (as the guarantor) who will be held responsible for the payment of rent if you can’t (or don’t) pay. Sometimes, landlords may also want a personal guarantee from your spouse or all the business partners involved. A personal guarantee is not mandatory. The Lease Coach frequently negotiates to minimize these for the protection of the tenant or eliminate them entirely. 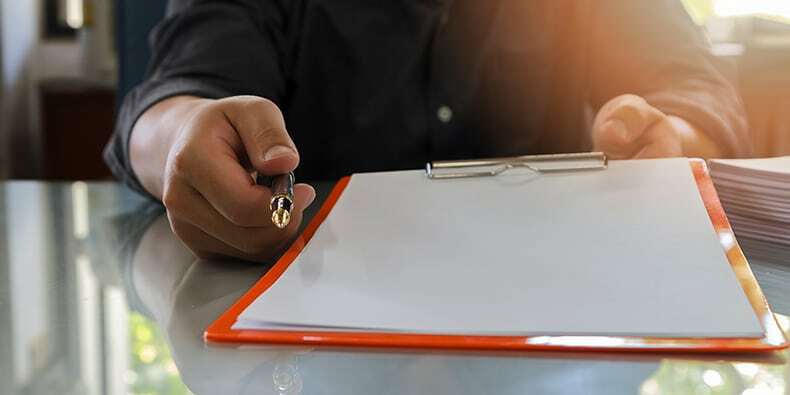 Though a personal guarantee may seem like an unfair request, it’s beneficial to look at it from a landlord’s point of view. To a landlord, you’re an unproven business risk. If the landlord is contributing money towards the tenant’s renovation costs (i.e. a tenant allowance), free rent, or a real estate commission for the agent, then the landlord has some skin in the game. If the landlord’s risk can be quantified—say $75,000—then you shouldn’t have to provide a personal guarantee for more than that amount. If you can’t eliminate the personal guarantee, the goal should be to set a limit and reduce it over time. So, a $75,000 guarantee the first year may be reduced to $50,000 the second year, $25,000 the third year, and after that, there is no personal guarantee at all. By that time, you’ll have regularly paid rent all those years and have—ideally—earned the trust of the landlord. On a related note, entrepreneurs may be asked for a deposit (or security deposit). Similar to a personal guarantee, deposits are not legally required. Remember, everything is negotiable when it comes to deposit terms. Don’t assume that you have to accept the landlord’s terms without trying to turn them to your advantage rather than theirs. Most landlords naturally prefer that you pay a large deposit as soon as possible and that you get as little as possible of it back as late as possible. Although one to two month’s rent is an industry standard deposit amount for commercial properties, the actual amount of the requested deposit can vary dramatically. Sometimes the landlord will ask for one month or two months of base rent; sometimes they ask for gross rent. Base rent is the minimum amount of rent you pay if you have a rental agreement. Gross rent is a combination of the base rent and the operating costs (otherwise known as common area maintenance, CAM, or occupancy costs) that the landlord charges. Your financial strength: more financial strength gives you better leverage for a smaller deposit. The existence of a personal guarantee: if you’ve given a personal guarantee, then isn’t a security deposit redundant? The size of landlord inducements: if the landlord is providing a substantial tenant allowance, they may request a larger deposit. Competing offers from other landlords: the more offers you have in hand, the better position you’re in to play one landlord against another. The strength of the landlord’s position: the longer the space has been vacant and the more vacancies there are in the property, the better the chance that you can obtain the terms you’re looking for with the landlord. Do not simply oblige your landlord with providing a personal guarantee and/or a security deposit. This is, after all, your money and it can better serve your purposes rather than your landlord’s purposes. Dale Willerton and Jeff Grandfield - The Lease Coach are Commercial Lease Consultants who work exclusively for tenants. Dale and Jeff are professional speakers and co-authors of Negotiating Commercial Leases & Renewals FOR DUMMIES (Wiley, 2013). Got a leasing question? Need help with your new lease or renewal? Call 1-800-738-9202, e-mail DaleWillerton@TheLeaseCoach.com or visit www.TheLeaseCoach.com. For a copy of their free CD, Leasing Do’s & Don’ts for Commercial Tenants, please e-mail your request to JeffGrandfield@TheLeaseCoach.com.